My interest is Numerical Analysis and Scientific Computing in general, and Numerical and Applied Linear Algebra in particular. I am a member of the Center for Computational Mathematics and Modeling at Temple University. and the SIAM Journal on Matrix Analysis and Applications (Editor-in-chief). Applied Mathematics and Scientific Computing at Temple University. Mathematical Contest in Modeling for undergraduates at Temple. Recent Advances in Scientific Computation, 27-29 May 2019, Santa Margherita di Pula, Sardinia, Italy. Advances in Numerical Linear Algebra: Celebrating the Centenary of the Birth of James H. Wilkinson, 29-30 May 2019. University of Manchester, UK. Beyond the discrete: iterative methods from the continuum perspective, 3-7 June 2019. Hamilton Mathematics Institute, Dublin, Ireland. Vietnam–USA Joint Mathematical Meeting, 10-13 June 2019, Quy Nhon, Vietnam. The International Conference on Preconditioning Techniques for Scientific and Industrial Applications (Precon-2019), 1-3 July 2019, University of Minnesota, Twin cities, Minneapolis, Minnesota. 22nd Conference of the International Linear Algebra Society (ILAS2019), 8-12 July 2019, Rio de Janeiro, Brazil. 9th International Congress on Industrial and Applied Mathematics (ICIAM 2019), 15-19 July 2019, Valencia, Spain. MAT TRIAD 2019 International Conference on Matrix Analysis and its Applications, 8-13 September 2019, Liblice, Czech Republic. Mathematical modelling and computational methods in applied sciences and engineering (Modelling 2019), 16-20 September 2019, Olomuc, Czech Republic. 26th International Conference on Domain Decomposition Methods, 2-6 December 2019, Hong Kong. Copper Mountain Conference on Iterative Methods, 22-27 March 2020, Copper Mountain, Colorado. Householder Symposium XXI, 14-19 June 2020, Hotel Sierra Silvana, Selva di Fasano, Bari, Italy. 23rd Conference of the International Linear Algebra Society (ILAS 2020), 22-26 June 2020, National University of Ireland, Galway. Mathematical Congress of the Americas, 19-24 July 2021, Buenos Aires, Argentina. I gave, which appeared in IMAGE, The Bulletin of the International Linear Algebra Society, November 2018. It was conducted by Froilán Dopico. Maths spying: The quandary of working for the spooks, from The New Scientist, April 2014. Mathematicians and Ethical Engagement, from SIAM News, November 2018. I wrote about the mathematics of voting. 16 October 2016. Software for block Recycled GMRES is available at Zenodo. Link to a presentation on some of this work at the SIAM Conference on Applied Linear Algebra 2015. Software for Multi-preconditioned GMRES available at the Matlab file exchange. Work on most of these papers was supported in part by the Department of Energy (Office of Science), and by the National Science Foundation. Other Papers: Chronological . By subject. Complete CV (Temple format) or shorter CV. Google scholar profile. Commemorative medal of the School of Mathematics and Physics, Charles University of Prague, at the Czech-U.S. Workshop on Iterative Methods and Parallel Computing, June 16-21, 1997, Milovy, Czech Republic. 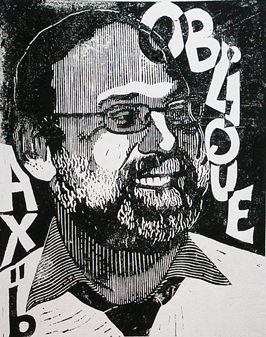 Featured in the book Hall of Fame containing linocuts portraits of scientists in the field of scientific computing made by Henk van der Vorst. Published by SARA, the High Performance Computing Agency of the Netherlands, December 2010. Dean's Distinguished Award for Excellence in Research, College of Science and Technology, Temple University, October 2011. Fellow of the American Mathematical Society, Class of 2017. Fellow of the Society of Industrial and Applied Mathematics, Class of 2017. (A note from the College's news on these two recognitions). Achievement in Mathematics Award, College of Science and Technology 20th Anniversary Special Recognition, Temple University, November 2018. Asociación Argenitina de Matemática Aplicada, Computational e Industrial (ASAMCI) . Association for Women in Mathematics (AWM). GAMM Activity Group on Applied and Numerical Linear Algebra . Mathematical Council of the Americas. National Association of Mathematicians (NAM). Society of Industrial and Applied Mathematics (SIAM). Check this video clip: Why be a SIAM member? SIAM Activity Group on Linear Algebra. See an article on Trends in Linear Algebra. Unión Matemática de América Latina y el Caribe (UMALCA). Check also the pages for Domain Decomposition Methods, the NA-Digest, and for the Householder Symposia. Two great resources: Why do math?, What's Happening in the Mathematical Sciences?. And two wonderful websites honoring mathematicians: Mathematically Gifted and Black, Latin@s and Hispanics in the Mathematical Sciences. I am a member of the Union of Concerned Scientists (UCS). Faculty at Temple U. is unionized, our Union (TAUP) is part of the American Federation of Teachers (AFL-CIO). I like to read The Nation; see also This can't be happening. I like to listen to Pacifica Radio, and Democracy Now! Links to the Washington Office on Latin America (WOLA), the Council for Hemispheric Affairs (COHA), and to NACLA (North American Congress on Latin America).